This was the last stage of our Baltic tour by bike. As you can see from the map, we took a flight! No, seriously, my GPS watch was off most of the time. We lest the Murese farm in direction of Vijandi, a short 30Km trip followed by an Estonian pizza that gave us enough energy to get us going to the train station. That’s the straight line in the map, a relaxing train trip that took us to Tallinn-Valke station where we met a fellow local cyclist that leaded the way into the beautiful and magic old town in Tallinn. I’ll keep forever the regret of not having taken any picture of the arrival of our two weeks cycling adventure in the Baltic country, I won’t forget that in my future bike trips. 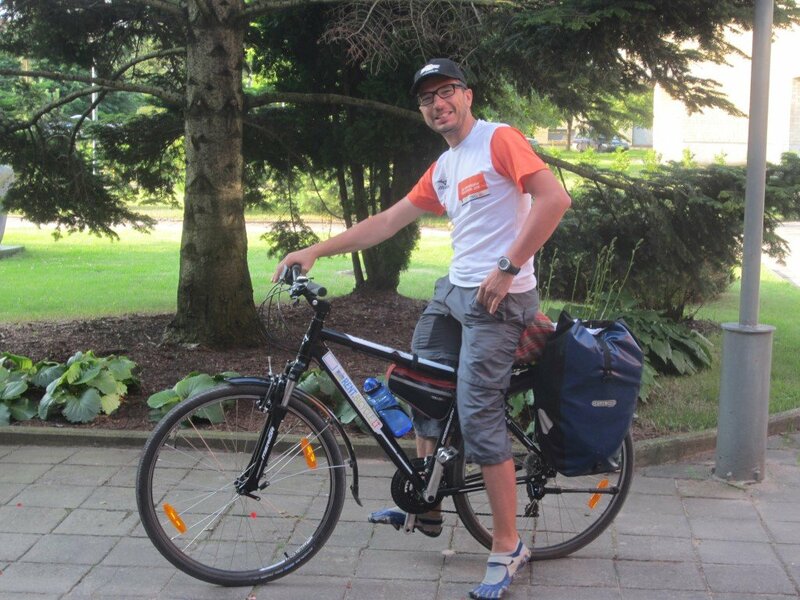 Enjoyed following along with you via the blog on your cycle trip. Look for to reading about your next adventure. I’ll publish a new post next days… about blogging.